In amongst the bad news, the controversies and the shock departures that have marred another week at Ibrox, there still remains the one silver lining that has brought large sections of the loyal Rangers support together. As Dave King raised his head above the parapet to announce his plans to return to the Rangers board as soon as possible, coupled with intentions to invest money straight into the club, it was a moment to rejoice for many. Despite it seeming inevitable to some that he would enter the fray at some point, it was a relief to see someone that truly has the club at heart making his intentions clear. Although King is only at the early stages of his return to Rangers, one would imagine that the red tape is currently a hindrance that will be little more than a blockage on the road in the long-term. "Give a man fish and you feed him for the day; show him how to catch fish, and you feed him for a lifetime." Essentially, Rangers are a club that need to learn how to use money. In recent memory, there has been a £22 million IPO that has vanished within half a year. On top of season ticket money, sponsor money and other form of income, an unsubstantiated, yet frightening sum of cash has flown out of the door since the newco was formed to take control of the club. Nobody appears to know how to handle it, and most feel left in the dark as to where it has gone. And what have the fans been left with; an over-inflated squad, a trail of disgustingly high wages emanating from the boardroom, and many broken promises. For a third tier Scottish side, costs are scarily high. However, although fans are focusing on the here and now of the issue, the difficult truth to swallow is that this is simply the straggle ends of an era where cash was king. David Murray may have ruled with an iron fist, but as his egotistical nature grew, so did the debt. The “every tenner for your fiver”, the ludicrous wages and tax schemes all led to the downfall of a great institution. The fans enjoyed the good times, but they are now suffering the crushing lows that have followed. It has been many years since anyone has had a true control over the spending at Ibrox. 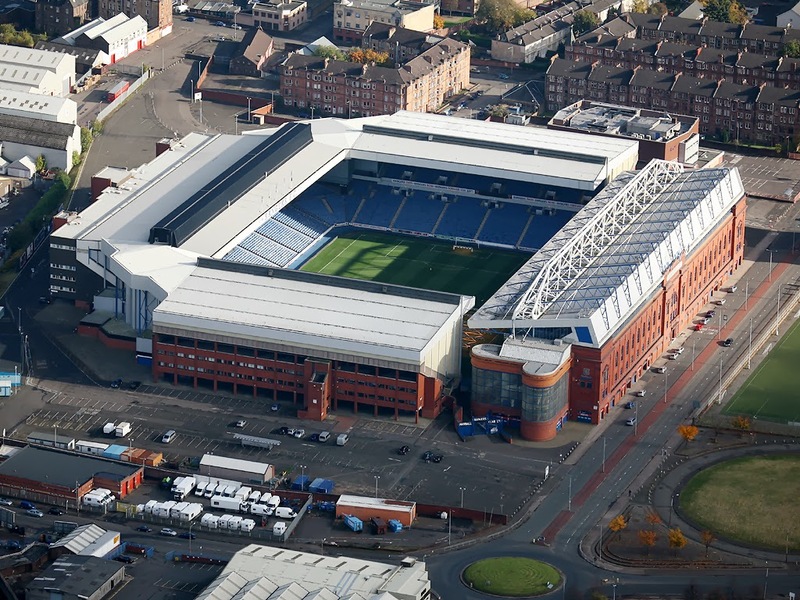 When was the last time there was a truly sustainable structure in place at Ibrox and Auchenhowie? The answer is longer than fans want to believe. In the months that follow, Rangers have to find a settled and competent board. It is absolutely pivotal for both the short and long term future of the club. With that will have to come funding, but it cannot be allowed to continue to be flushed out the other side six months later, with our directors left, caps in hand begging for more money from King, McColl or even the fans. It has to be time that the Rangers cash cow came to an end. Manager and boardroom wages have to be brought under control. Serious decisions have to be made with regards to the playing squad - no longer can Rangers simply rely on their financial muscle over other Scottish teams to demand players. It is time for that wage-to-turnover structure Charles Green spoke of those many moons ago now. Instead of splashing the cash on 'bodies', a competent system of scouts will reap so many more rewards - the amount of players the club have sold on for a profit in the last ten years has been nowhere near high enough. It should be the foundation for all cash income, yet it is currently a bonus that is pulled in every couple of years at best. Behind the scenes, it is time to start putting right the many wrongs that have manifested their way into the club. The corporate governance of the club has been in a terrible state of recent times - those running the club have shown an inability to connect with their fanbase and customers, leading to many supporters feeling incredibly isolated from the club that they love. The main example of lazy governance may be the appointment of the recently-departed CEO, Craig Mather, which appeared rushed, poorly-judged and an easy way out. Board members have arrived and left at an alarming rate, in a similar fashion to NOMADs. If the club are to make appointments, it is time to start going through the proper processes to do so - a proper interview process over appointments at the convenience of the shareholders. For a club with the status and global appeal of Rangers, the structure and plans of those running the club are nothing short of embarrassing. In reality, this is a club that have been living off the money growing on trees for far too long. It is time Rangers learned how to start making money for themselves again. Either that or we simply sit back and wait for those money trees to run out again.